Living Health Group > Blog > Be Informed > Are you missing magnesium? Magnesium is an essential mineral in the body. Magnesium helps maintain normal muscle and nerve function, assists your cells in making energy and keeps your heart rhythm steady. A diet rich in green vegetables, grains, nuts and legumes will keep your magnesium sustained. Magnesium can improve athletic performance by enhancing the production of cellular energy to prevent muscular fatigue, and also assist with post-exercise recovery. Magnesium supplements are recommended to ensure you get the most out of your training. We love Metagenics Fibroplex which keeps our athletes in top form for training. There is an increased requirement for magnesium. If stress persists, this can often result in magnesium deficiency, which then heightens the stress response. A combination of magnesium and B complex vitamins can help regulate the stress response. We love Metagenics Calm X to help support the body during those stressful periods. If you are experiencing stress, muscle tension, fatigue or other signs associated with magnesium deficiency, it is time to top up! However, the type of magnesium used in a supplement will greatly affect how much of it is absorbed and the results you receive. For instance, commonly used forms of magnesium (magnesium salts), found in sports drinks and other over-the-counter supplements, tend to break up in your digestive tract and release free magnesium. This may sound appealing; however a reaction of this nature often leads to digestive upset and diarrhoea (not ideal!). 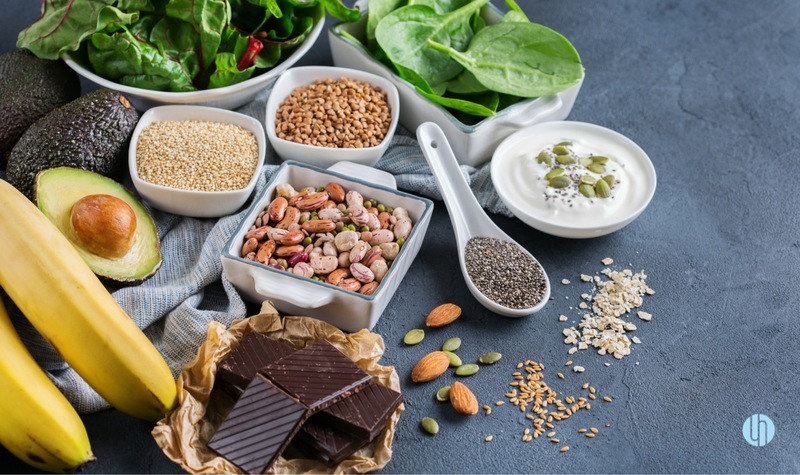 Thus, whilst magnesium can help increase your vitality and wellness and maintain your health in the long-term, choosing the right type of magnesium is essential. For more information or assistance in choosing the right type of magnesium for your body, ask one of our Living Health Group Osteopaths.